Giveaway is now closed. Click HERE to see the winner! I'm sure you guys have all heard of Six Sister's Stuff by now, which means you do not need an introduction, but did you know The Sisters recently released a book? This book is full of recipes, crafts and all kinds of great ideas! I browsed through all the RECIPES and I could not find one strange ingredient and most of the items are pantry staples. I am so not a crafty person, but I really feel like I could handle the CRAFTS in this book. They seem pretty easy, but look like they cost "big bucks". Here are a few recipes I have tried from The Sisters that I think are fabulous! MANDATORY ENTRY: You MUST be a follower of Eat Cake For Dinner via Google Friend Connect, Facebook, Pinterest, Google+, Bloglovin' OR E-mail. All of which can be found on the right hand side of my blog. Leave me a comment on this blog post and let me know which way you follow. If your name does not link me to a blog, be sure to leave me your E-mail address, so I can contact you if you win! FOR A 2ND ENTRY (optional): Leave me a separate comment on this blog post and tell me what your favorite recipe is. It can be anything you want. Giveaway will end on Sunday April 7th and I will announce the winner on April 8th. Winner must contact me within 72 hours or a new winner will be selected. I was provided a copy of this cookbook for the purpose of this review, but the opinions expressed herein are my own. Giveaway copy will be shipped by the Publisher. My favorite recipe is an appetizer that I am sure everyone knows about. It is velveeta, rotel, and hamburger meat mixed together and served with tortilla chips. I am a subsriber via email and GFC! 'Lots of favorite recipes, though variations of my homemade pizza are always a 'go-to' fave. Sometimes I make it into bread sticks w/pepperoni pizza dip to make it complete. Hi from Halifax! I follow you through Facebook and Pinterest....love your recipes, especially the Nutella no bake cookies. Delicious! I follow you through Pinterest too!! I follow you through Bloglovin' also. One of my favorite recipes is the Cajun chicken Alfredo with guiltless Alfredo sauce.....YUM! My favorite recipe is actually my own spaghetti sauce! I also follow you on Pinterest and Facebook! I actually can't wait to try that slow cooker sesame chicken. And I always love me a good chocolate chip cookie recipe. I follow on Facebook and Bloglovin, my email is tinadupuis21@hotmail.com. I think I follow by email! Thanks for the giveaway chance! almond poppyseed bread with orange glaze. My favorite recipe is a cream cheese pound cake that I make all the time with my mom's homemade boiled fudge icing, delicious! I follow you through Facebook, Pinterest and subscribe via email. Would love to take a look at this cookbook. I follow by E-mail and Bloglovin'. My favorite recipe is The Contessa's Chocolate Chip Cookies. I make them all the time. 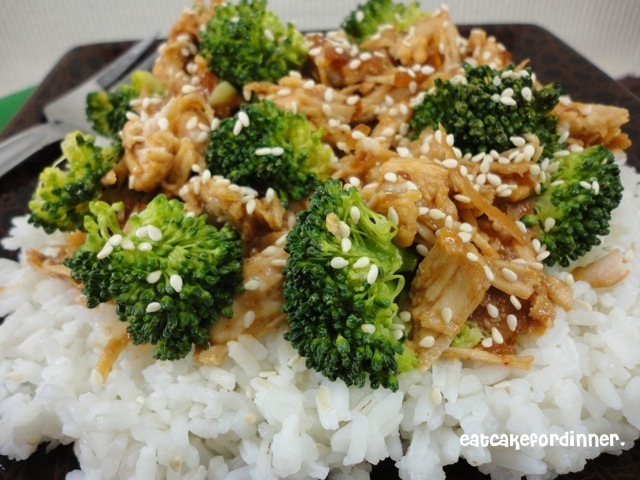 Simple, easy to make and delicious! I follow you on Facebook and Pinterest. I have also been following you on Google Reader--but looks like that will need to change. Hi Jenn! I follow you by email, Facebook and Pinterest. My email address is jessford72@gmail.com. My favorite recipe is fried rice. My favorite recipe is Slow Cooker Cream Cheese Chili, which I found on Six Sisters' Stuff a while back. So easy and yummy! I am an e-mail Follower and LOVE when a post appears in my Inbox. Thanks! Since I have over 450 recipes on my blog finding a favorite is difficult, but I do love food. I just blogged about your frosted peanut butter cookies so I think that may be my current favorite recipe. They were delicious. I would love to have you check out my post. Lion House Zucchini Bread ... oh yum! And my favorite recipe is for green chile chicken enchiladas! YUM! My favorite recipe is peach cobbler! i follow via email! love your recipes! I follow your blog via emails, and I am making the dinner rolls from yesterday for company this weekend. I want this cookbook! I follow on Bloglovin! Right now I am thinking crumb cake! One of my favorite recipes from your site is the snicker doodle bread. Yummy! My favorite recipe is your basic dump cake. So easy and so yummy! I follow you by e-mail and on Pinterest. My favorite recipe is Lazy Lasagna. It has all "normal" ingredients and everyone loves it. I like you on Facebook. Thank you so much for the giveaway. I follow you on GFC. Thanks for the giveaway, I love cookbooks! So many great recipes, I love a 1-hour homemade wheat bread recipe that I use almost weekly. I follow you on email at katieski@hotmail.com. My favorite recipe would have to be simple enchiladas with tres leches cake...YUM!!! I follow you on Pinterest, Facebook and email. I follow Six Sisters on Pinterest, email, and Facebook. Can't wait for this cookbook. I love six sisters!!! and follow them on pinterest and via email.. helenmrussell@hotmail.com thanks for the chance to win their cookbook. I follow you on Pinterest and by e-mail happycats11@hotmail.com Thank you for all the great recipes and a chance at winning this great cookbook. I follow you by e-mail robinmoss@hotmail.com and on FB. Spaghetti is my go to or mac and cheese. I follow via Bloglovin' (aitonainen) and Facebook (amy crawford johnson). I follow with GFC, blogloving and pinterest. I follow on email at cambodialsf@live.com. I love to bake artisan style bread. Anything with flour, water, yeast and salt. Magical! I follow Eat Cake for Dinner via email and Pinterest! My favorite recipe is my husband's Spaghetti that he makes in the pressure cooker! thank you for the chance to win! i follow you via Pinterest, Facebook & Email. I follow on pinterest. My favorite recipe is homemade from scratch banana pudding. (I'm from the South). I follow on Pinterest. I would love this book! I just discovered them this week and they are already on my to do list. I have been afraid of making bread. I have never tried it. But your post about OBB rolls has gotten my started. 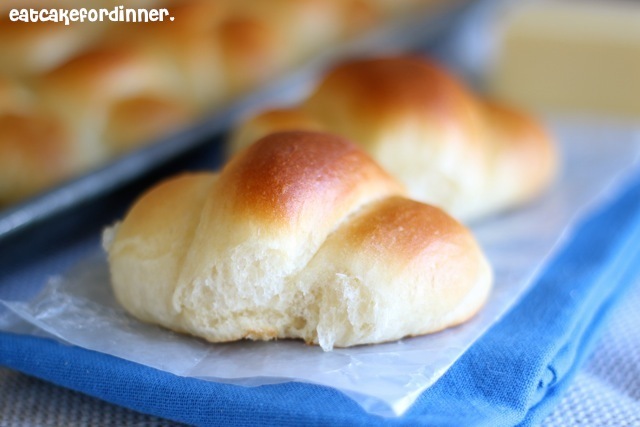 I will be making my first rolls tomorrow. Thanks! My fav recipe is your cream cheese chicken chili recipe! My favorite recipe recently has been individual lasagna, in muffin tins! The whole family loves them.